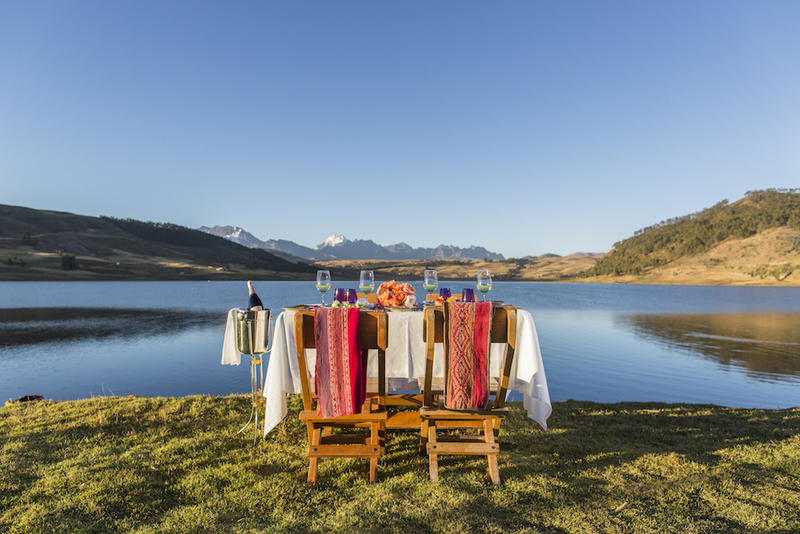 Marie-Helene Miribel (‘Petit’), owner and maître de maison of luxury lodge, Sol y Luna, in Peru’s Sacred Valley has been awarded the Environment Trophy by the Relais & Chateaux Congress. This recognition is testament to her incredible work in creating a hotel to fund a school for local children in rural Peru. When ‘Petit’ came to a cross-road in her career about 20 years ago, she took the decision to make a huge life-change. She shared a dream with her husband to live in a corner of the world where they could seriously improve the education of local children. 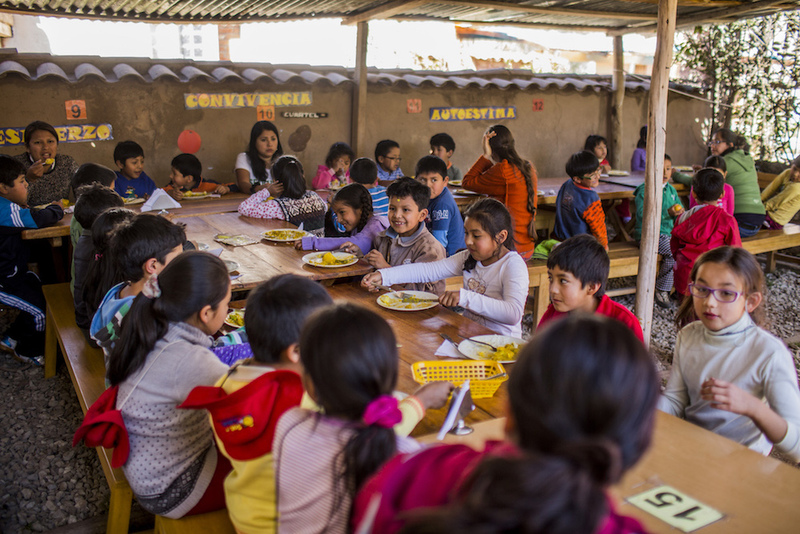 They moved to the Sacred Valley, where they wanted to provide a higher level of education so that children could be the protagonists of their own lives. They believe that it doesn’t matter where you are born or under what conditions: all children should have the right to the best education; the same education. They opened up Sol y Luna Hotel and set up the Sol y Luna Association, to which the hotel has always been the primary donor. Whilst the hotel is committed to offering guests the most wonderful experience staying in the finest accommodation in the region, the overriding purpose of their work will always be funding local education, and they are fortunate to have many donors to their cause. The luxurious casitas at Sol y Luna offer a level of cosiness that would befit a hobbit home – not because of their size we hasten to add; they are very spacious indeed. Individual villas are private sanctuaries for guests, blended into flower-filled gardens, with bright décor. Each casita has been constructed using local stone, terra cotta and adobe brick and thick wooden beams, and individually decorated with Peruvian folk art and locally handcrafted furnishings and ornaments, reflecting the beauty of the Sacred Valley. Positioned to face the mountains where Incas believed their gods dwelled, the scenery from each private terrace is spectacular. Deluxe Rooms feature wood burning fireplaces and heated floors, and Premium Rooms are adorned with stunning murals and hand-loomed textiles. 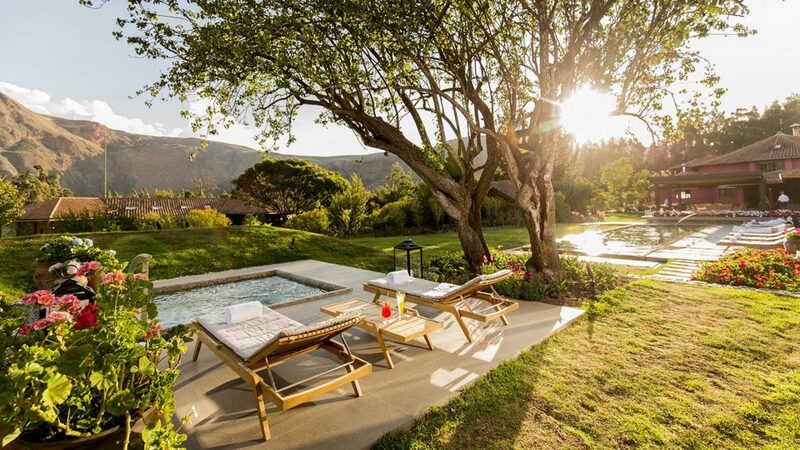 With a Jacuzzi to relax in out on the terrace, you couldn’t find a more welcoming home to begin your Sacred Valley adventures. A number of the casitas have mezzanines so that the whole family can stay together and still enjoy ample living space. 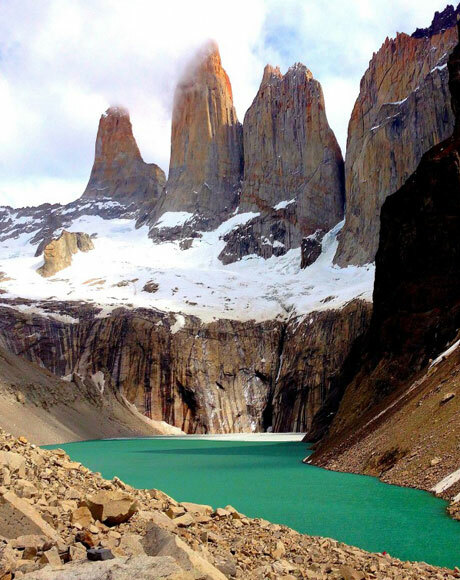 Privately guided excursions can be tailored to your children’s ages and interests. 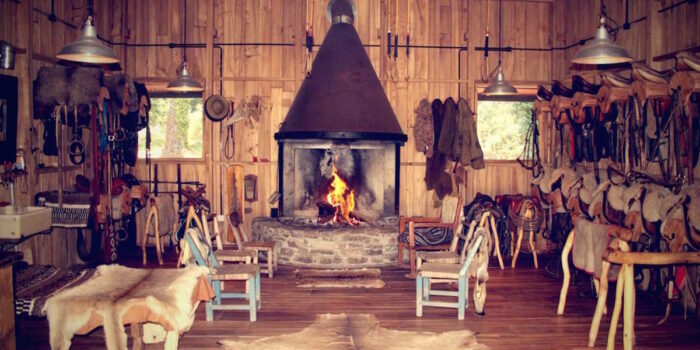 This is a wonderful setting for children to get in touch with nature and enjoy outdoor adventures. Located outside the Inca capital of Cuzco, the Sacred Valley is Peru’s treasure chest of smaller, lesser visited archaeological sites. 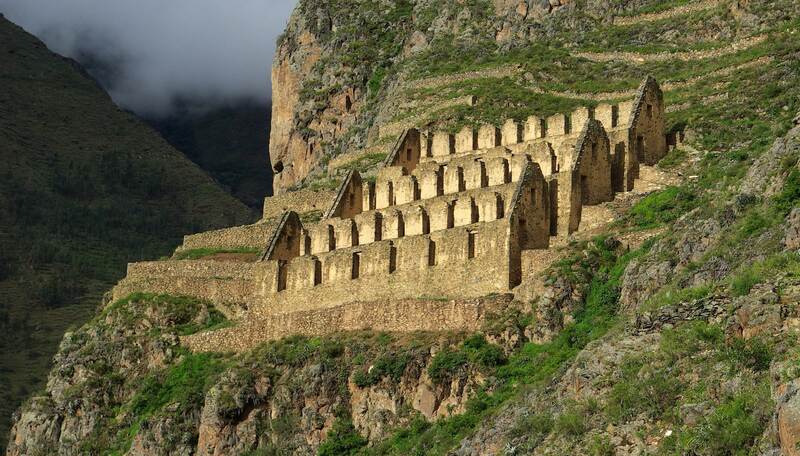 Ancient Inca villages such as Ollantaytambo, where you can explore ruins of cobble-stone streets, temples, fortresses and agrarian terraces, are scattered through the foothills of the Andes. Because of its remarkable setting, you can discover the history and architecture of the Sacred Valley whilst pursuing endless outdoor adventures such as scaling snowy mountain peaks, hair-raising mountain-bike rides through lush valleys (the glacier of Chicon bike ride is half a day and one of the most beautiful) and some of the continent’s most exciting white water rafting on the Urubamba river. From Sol y Luna we arrange tandem paragliding, trekking along Andean terraces, visits to Inca sites such as Moras and Moray and horse riding to remote villages to meet communities such as the Huayllarcocha and Mahuaypampa to learn about their traditions. The Sacred Valley is the gateway to Machu Picchu, where the ruins of the ancient Inca citadel lie high above the clouds in the Andes Mountains. Machu Picchu has to be experienced first-hand to gauge its size and majesty, and we’d recommend allowing at least one full day to peruse the fascinating and intricate stone carvings throughout the site. You can’t help but feel a sense of awe at how it came to be constructed all those years ago by the lost civilisation. Staying in an area renowned for its adventurous offerings, Sol y Luna know only too well the need for guests to relax and recuperate between excursions, so that you’re ready and raring to go when the next adventure presents itself. An intimate indoor spa and outdoor pool offer just that – holistic relaxation in a beautiful natural setting – where better to unwind than with a panoramic view of soaring mountain peaks? Sol y Luna’s chefs take seasonal produce, freshly grown in their gardens to create locally inspired dishes, full of Andean flavours and Peruvian staples such as white and red corn, quinoa and potatoes (there are around 4,000 different types in Peru). 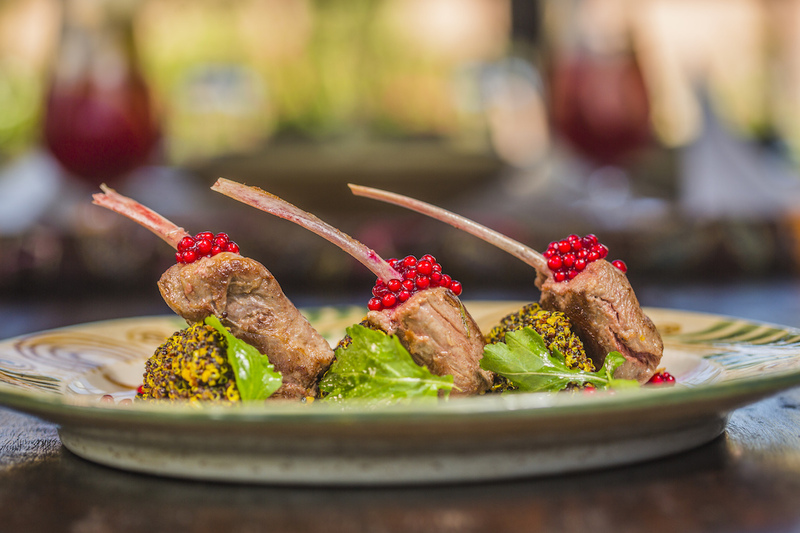 Killa Wasi restaurant offers a refined dining experience; a contemporary take on traditional Andean recipes, with influences from the chef’s travels in the Peruvian Amazon. Cuisine is inventive and sophisticated, with harvest driven dishes featuring Andean trout, local grass-fed beef and Peruvian delicacies such as alpaca and crispy guinea pig. Expect Peruvian haute-cuisine at Wayra. 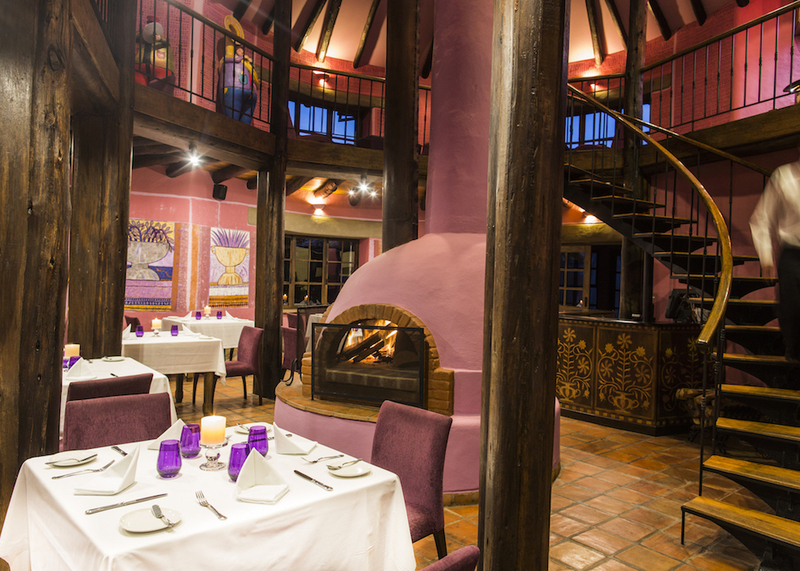 The restaurant features hand-painted woodcarvings and wood burning fireplaces, which add to the relaxed ambience in both the dining room and lounge. 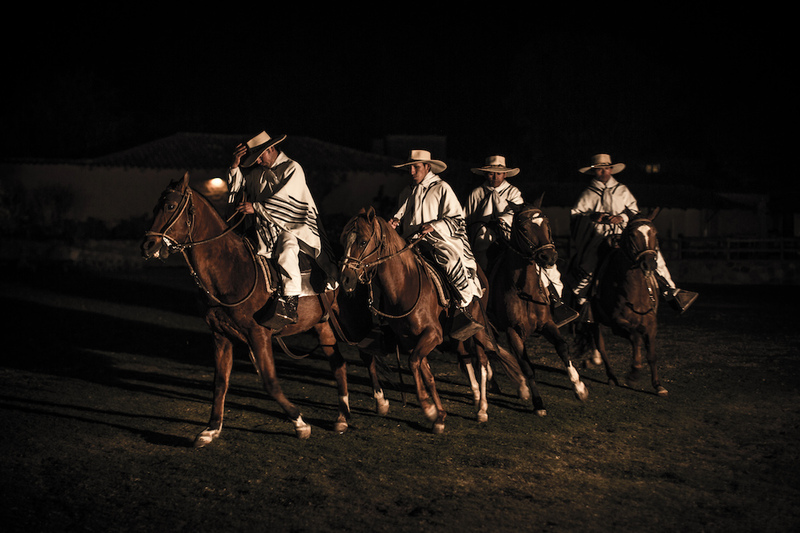 Wayra puts on wonderful displays of Andean culture and heritage, including Peruvian Paso Horse shows in the afternoons, Marinera dancing and on some evenings, an acrobatic spectacle from world-class circus performers. A ‘Chef’s Table’ at Sol y Luna is a wonderful way to spend an evening: Chef Nacho’s three-course culinary journey introduces you to the aromas, flavours, colours and tastes of Peru, accompanied by Pisco Sours, of course. We can arrange private fine-dining experiences at Sol y Luna in the atmospheric wine cellar; a beautiful setting for a formal dinner on a stunning antique table, set with hand-embroidered linens, custom silverware and an array of handpicked garden roses. The hotel’s Executive Chef will prepare a bespoke menu of seasonal dishes paired with wines curated by the in-house Sommelier. The Incas would perform a symbolic dining ritual called PachaManca (in Quechuan: earth pot), to celebrate the cycle of life. They would dig into the earth an ‘oven’ to cook food underground, paying homage to the Incan fertility goddess, Pachamama (Mother Earth). 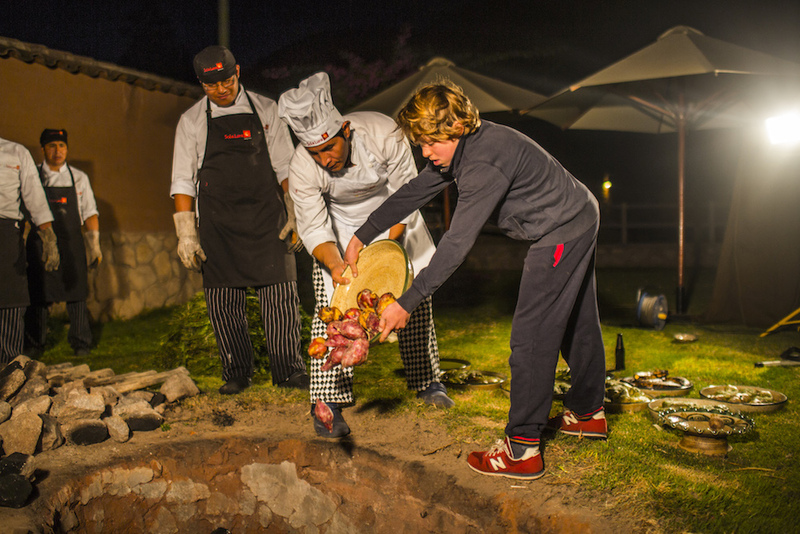 At Sol y Luna you can learn about this in greater detail and enjoy an Andean banquet for your private party, indulging in a delicious selection of Sacred Valley delicacies, paying respect to Mother Earth before the feast begins. The Sacred Valley’s remote artisanal communities hand-craft beautiful products, such as folk art, hand-woven textiles and ceramics. Sol y Luna will introduce you to a group of talented local women who demonstrate traditional Andean weaving techniques, from the untangling of natural wool fibres, to spinning and colouring with natural dyes made of flowers, roots and herbs and preparing the loom. 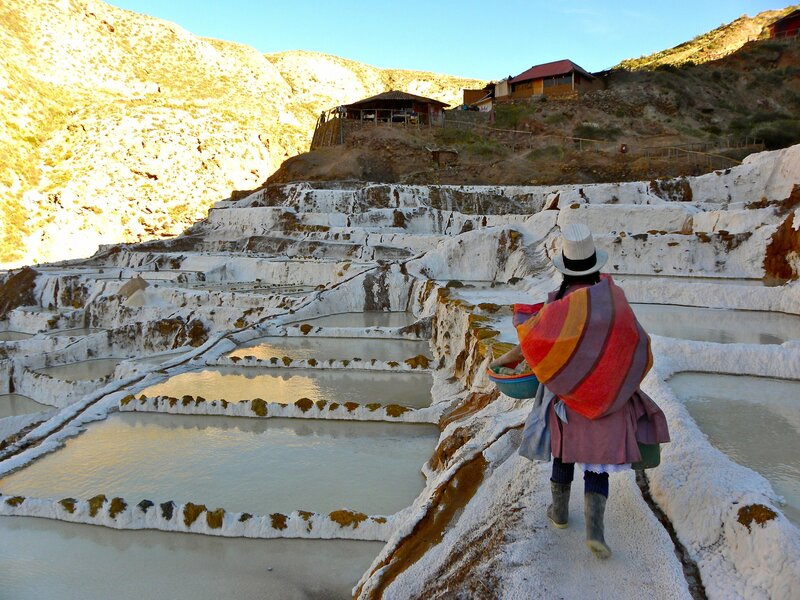 It’s an insightful experience of cultural exchange and a great opportunity to learn about the ancestral traditions and skills that are being celebrated in rural Peru. 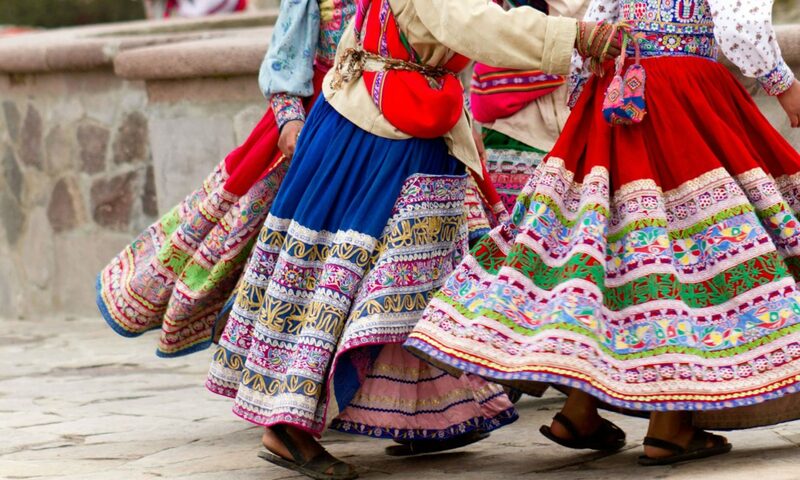 Textiles also make a wonderful souvenir to take home with you as a reminder of Peruvian colour, style and artistry.